Internet connectivity all over the world and at all times is becoming more and more important. People travel a lot and want to keep in touch with their friends and always want to be up-to-date. However, if you’re travelling, internet connection can be very expensive, depending on the country you’re visiting and your home operators offer. For this reason, many people opt for data SIMs while travelling. How do you wan to stay online? The cheapest data SIM is the 2Kontant Bredbrand data-only SIM card from 3 (Tre). 3 doesn’t operate a 2G network and has no 2G roaming so you’ll need a 3G or 4G device. Keep in mind that international roaming is blocked so you will only be able to use the SIM in Sweden. 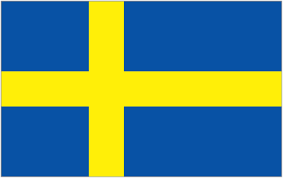 You can buy the SIM in their stores (3Butiken) or you can order it online, but for ordering it online you need a Swedish personal number and a Swedish postal address. The SIM only starter pack including 500MB (valid for 7 days) costs 99 SEK (10 euro, 12 dollar). 1GB cost 29 SEK (3 euro, 3.5 dollar) but are only valid for 1 day! 5GB cost 99 SEK (10 euro, 12 dollar) but are only valid for 7 days! 5GB cost 199 SEK (20 euro, 24 dollar) and are valid for 30 days! However, if you’re planning to visit other countries and you don’t want to buy a local SIM card in every single country or if you don’t want to lose any unnecessary time while buying a SIM card, you can also buy a Travel SIM card which you can order prior to your trip. 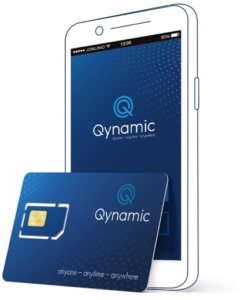 Qynamic, a swiss based company offers Q-Travel and Q-SIM, an excellent solution for Sweden and the rest of the world. Very attractive prices, easy onboarding and convenient to use. You can purchase additional TopUps easily through an App and you can order and activate the SIM card before leaving. Your SIM card will be ready for use immediately!